“The rainbow owes its beauty to the variety of its colors. In the same way, we consider the voices of various believers that rise up from all parts of the earth as a symphony of praise addressing God. We deplore the scorn that certain religious people heap on the form of divine things, leading them to reject their neighbor’s hymn because it contrasts with theirs. To fight this, whatever be the religion or the congregation to which you are affiliated, meditate at length on this verse, ‘The creation of the heavens and the earth, and the diversity of your languages and of your colors are many wonders for those who reflect’ (Quran 30:22)”. Sayyiduna Salman narrates that the Messenger of Allah (Allah bless him and grant him peace) spoke to the Companions on the last day of Sha`ban. He informed them that they were about to enter a great and blessed month, a month in which there is a night better than a thousand nights. He mentioned some of the merits of the month of Ramadan. Then he said: “Do four things in abundance: two things with which you please your Lord, and two things which you cannot do without. As for the two things with which you please your Lord: your testification that there is nothing worthy of worship other than Allah and your seeking His forgiveness. As for the two things which you cannot do without: your asking Allah for Paradise and seeking refuge in Him from the Fire.”1. “O Allah, truly You are all-Pardoning, You love to pardon so pardon us.”2. “O Allah, truly You are all-Pardoning, You love to pardon so pardon us” (3 times). On the third time say “O Most Generous” (Ya Karim). 2 Narrated by Ahmad, Ibn Majah and Tirmidhi with a sahih chain of transmission. NOTE: Wadi Hadhramawt (pictured above) is a 220-mile wadi (seasonal river valley) which has a collection of 31 small sultanates with Aden in the middle. 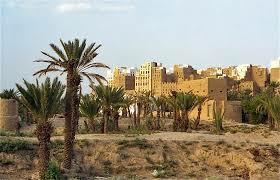 Hadhramawt is the biggest wadi in the Arabian Peninsula and runs for 99 miles through a stony desert. This area has been settled since at least the 3rd century AD and brilliant green fields ran alongside the wadi. You are currently browsing the Darvish blog archives for June, 2017.